BACK, Sir GEORGE, naval officer, Arctic explorer, and artist; b. 6 Nov. 1796 in Stockport, England, second son of John and Ann Back; d. 23 June 1878 in London. The heroic exploits of the Royal Navy during the Napoleonic wars stimulated George Back’s desire to go to sea, and a visit to Liverpool confirmed it. His father therefore took him to London and, with the help of a relative, he joined hms Arethusa as first class volunteer on 15 Sept. 1808. Shortly afterwards, Arethusa joined battles off Cherbourg and along the north coast of Spain. In April 1809, when serving near San Sebastian in one of the boats seeking prizes, he was captured by French soldiers. From there he travelled to Verdun, where he spent the next five years as a prisoner of war. Although he began to “associate with dissolute characters and see something of vice and roguery,” he soon settled down to resume his education in drawing and French. He was released early in 1814 and returned to England in May. On 4 July 1814 he joined hms Akbar, stationed at Halifax, Nova Scotia, as midshipman. He saw plenty of action before his ship returned to Portsmouth in December 1816. On 5 March 1817 Back was appointed passed Admiralty midshipman on board hms Bulwark. This ship remained at Chatham, where, by his own account, he spent his time “drawing, reading and studying.” After a request for promotion was refused, he volunteered for service under Commanders John Ross* and David Buchan* in an expedition that opened a new era of British Arctic exploration. He was appointed midshipman on board hm brig Trent in the expedition’s eastern branch under Buchan, who was ordered to sail Dorothea and Trent across the Arctic Ocean from Spitsbergen to Bering Strait. Ross, commanding the western branch, was to attempt a northwest passage by way of Davis Strait. Dorothea and Trent left the Thames on 25 April 1818 and returned on 22 October, having spent a perilous three weeks beset in the ice off Spitsbergen, their only success being a record latitude of 82°34´N. 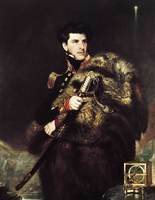 Although the expedition itself was a failure, it provided Back with the key to his future by bringing him into contact with Lieutenant John Franklin*, commanding officer of the Trent. Franklin’s flattering report of Back’s conduct, and particularly of his usefulness as an artist, was to make him a natural choice for the overland expedition that Franklin himself led in 1819 to explore the north coast of America from the mouth of the Coppermine River to Repulse Bay. Back returned to Bulwark for a short time, then, on 23 May 1819, set out with Franklin for York Factory on the Hudson’s Bay Company ship Prince of Wales. Dr John Richardson*, a naturalist, Robert Hood*, another midshipman, and John Hepburn*, a seaman, completed the party from England. The expedition passed one winter at Cumberland House, and a second at Fort Enterprise, a base camp they had built by Winter Lake, between Great Slave Lake and the Coppermine River. Soon after their arrival at Winter Lake, Franklin asked Back to return south to hasten the passage of essential goods expected from Cumberland House. He set out on 18 Oct. 1820, and on 2 Jan. 1821 arrived at the trading posts on Lake Athabasca. Here, George Simpson*, who had recently taken charge of the HBC’s Athabasca department, was justifiably irritated by Back’s rudeness and impatience. “That Gentleman,” he wrote of Back, “seems to think that every thing must give way to his demands.” A month later the goods arrived, and Back returned with them to Fort Enterprise, saving the expedition from early failure. On 14 July 1821 the party left their base in two canoes, descended the Coppermine River to the sea, then explored the coast as far east as Bathurst Inlet. Here, short supplies, the approach of winter, and unrest among their Canadian voyageurs obliged them to abandon hope of reaching Repulse Bay. Dogged by starvation and increasing debility, the party struggled back overland across the barren tundra towards Fort Enterprise. Half the party was saved when Back, who had gone ahead to search for Indians, located a tribe and sent them to the main group with supplies. Ten men, including Hood, died before he could send help. Back was promoted lieutenant on 1 Jan. 1821 when the expedition was still in progress. 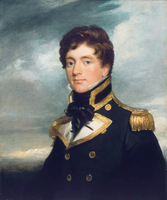 Soon after his arrival in England in October 1822, he returned to service at sea to gain the qualifications necessary for promotion to commander. During his absence on hms Superb, which was stationed in the West Indies, appointments were made for Franklin’s second overland expedition to explore the coast eastwards and westwards from the mouth of the Mackenzie River. The Admiralty apparently wanted to reappoint Back, but Franklin had been poorly impressed by Back’s conduct during the first land expedition and encouraged them to appoint Lieutenant John Bushnan instead. However, Bushnan died before the expedition left, and Back was then invited to take part. He readily accepted the offer and joined Franklin in London in December 1824. By contrast with the first overland expedition, this one went ahead smoothly and almost without incident. The newly reorganized HBC was better able to fulfil its promise of assistance. The planning was better in London also; supplies were sent out well in advance, and British seamen replaced Canadian voyageurs who, the explorers felt, were less reliable. The party arrived by packet in New York in March 1825 and travelled to Great Bear Lake, where they built Fort Franklin on the western shore. After a winter there, they set out for the Mackenzie delta on 22 June 1826. At Point Separation the party divided. Richardson and Edward Nicholas Kendall*, the surveyor, in the 24-foot boats Dolphin and Union, explored the coast eastward to the mouth of the Coppermine River; Franklin and Back, in the 26-foot boats Lion and Reliance, set their course westward towards Bering Strait where hms Blossom (Capt. Frederick W. Beechey*) was awaiting them. Soon after reaching the sea, on 7 July, Franklin and Back spent an exhausting day fighting off Eskimos who tried to raid the boats, but the main impediment was poor weather and ice conditions. Six weeks’ coasting brought them to Return Reef, only half-way to Icy Cape, so, with winter fast approaching and supplies dwindling, Franklin decided to turn back. They reached Fort Franklin on 21 Sept. 1826, three weeks after Richardson and Kendall, who had completed their survey [see Beaulieu]. During the winter Back learned that he had been promoted commander on 30 Dec. 1825. By the end of this second expedition, Franklin, Back, and Richardson had explored along half the length of America’s northern coast – from Kent Peninsula to Prudhoe Bay, Alaska. The prospect of completing this north coast survey – from Kent Peninsula to Melville Peninsula – remained on Back’s mind for many years; it was partly for this reason that he undertook his 1833–35 expedition, and it was the sole object of his abortive 1836–37 voyage. Franklin made free use of Back’s watercolours and drawings to illustrate his published narratives of both land expeditions. As the products of one of the first competent artists to penetrate into the Canadian Arctic, these illustrations are now considered an invaluable record of early northern history. 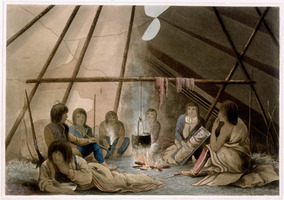 Those which Franklin published are still used to illustrate books on northern exploration, but many other fine drawings, watercolours, and sketch-books from Back’s three land expeditions, still preserved in the Public Archives of Canada, in the Scott Polar Research Institute, and elsewhere, remain unused and virtually unknown. After his return to England on 10 Oct. 1827, Back tried for nearly three years to obtain another appointment. At the same time his health began to fail and he decided to restore himself by making a tour of Europe. Setting out on 3 Aug. 1830, he travelled up the Rhine to Switzerland, then spent more than a year visiting the artistic centres of Italy. In January 1832, when he was in Naples, he was disquieted by rumours about John Ross, who had not been heard of since he had set out on an attempt at a northwest passage in 1829. Back returned to England at once and offered to command a search. He learned that Dr Richardson had already submitted a plan for reaching Ross by way of the Thlew-ee-choh or Great Fish River (Back River), a river known only by Indian report, which was supposed to rise somewhere near Great Slave Lake and flow northwest into the Arctic Ocean. Richardson had received insufficient support and stepped down. Back adopted the same plan and raised enough support from the government, the HBC, and public subscription to go ahead with the expedition under the direction of the Colonial Office. Taking with him Dr Richard King as naturalist, Back left Liverpool by packet for New York on 17 Feb. 1833. In June he was at Fort Alexander on Lake Winnipeg, where George Simpson, now governor of all the HBC’s activities overseas, greeted him cordially, apparently having forgotten their brush in 1821. From Fort Resolution Back set out to search for the Thlew-ee-choh and located it on 29 August. He then returned to the expedition’s wintering station, Fort Reliance, at the eastern end of Great Slave Lake. When news reached him in spring 1834 of Ross’s safe return to England, it only remained for him to explore the Thlew-ee-choh and the seacoast adjoining its mouth. On 7 June 1834 his party left the fort for their depot on Artillery Lake, and, travelling by Clinton-Colden Lake and Aylmer Lake, reached the Thlew-ee-choh on 28 June. The descent of this river took them one month, after which they spent three weeks exploring Chantrey Inlet. Poor weather prevented their making a more extensive survey of the sea-coast, and they were back in Fort Reliance on 27 September. 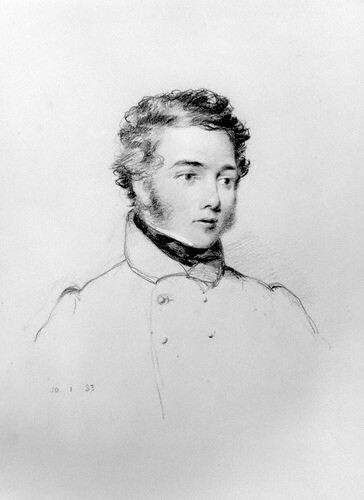 On 21 March 1835 Back left for England, leaving King to follow with the men and equipment. Arriving in England on 8 Sept. 1835, Back received a hero’s welcome. 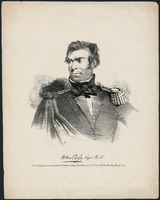 He was promoted captain on 30 Sept. 1835 by order in council, an honour that had only one precedent and that was necessary in Back’s case because he had not served the prescribed year at sea since being made commander. Among other honours he received the royal medal of the Royal Geographical Society, and, on 8 Feb. 1836, was elected a fellow. The Thlew-ee-choh gradually became known as the Back River. Richard King was noticeably absent from the throng of Back’s admirers. He evidently believed that the expedition might have achieved much more and his narrative shows that his opinions frequently differed from Back’s. Like HBC employee Thomas Simpson, who met the expedition in 1833, he considered Back a weak leader, but above all he resented Back’s interference with his duties as a naturalist. King, however, had a way of making himself unpopular, and little notice was taken of his complaints. The high regard with which Back was generally held enabled him to dictate terms for a further expedition. 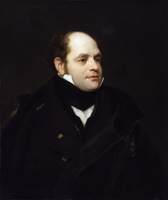 On his behalf the Royal Geographical Society approached the government with a scheme that Back had had in mind since 1828: to take a ship to Repulse Bay or Wager River, and then trace the coast by boat as far as Point Turnagain, the farthest point reached by Franklin on the first land expedition. Back was given command of hms Terror and the expedition set out in June 1836. Among the officers of the Terror were mates Graham Gore, who later perished in the ill-fated Franklin expedition, and Robert McClure, who in 1850–54 commanded Investigator in search of Franklin. The year was notoriously bad for ice throughout the whole of the eastern Arctic and the 325-ton Terror with her crew of 60 men was beset in August on entering Frozen Strait. She drifted throughout the winter in the pack off northeast Southampton Island and suffered heavy damage. When freed in July 1837, Back had no alternative but to turn homeward. He landed with his ship in a sinking condition at Lough Swilly in Ireland on 3 Sept. 1837. Returning to England, Back led a comfortable life in London society and maintained an active interest in Arctic exploration, which was again entering the news. He opposed the choice of Franklin as commander of the 1845 expedition on grounds of age and encouraged James Ross to accept the appointment. On 13 Oct. 1846 he married Theodosia Elizabeth Hammond, a widow, spent six months with her in Italy, and returned in August 1847 to take an active part in the preparation of expeditions in search of Franklin. He served with a number of other Arctic veterans on the Arctic council which advised the Admiralty about preparing search expeditions. Unhappily Back and nearly all other members of the council were completely wrong in their opinions on the whereabouts of the missing men, and their advice resulted in the Admiralty’s sending expeditions to all the wrong places. 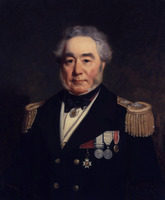 In 1851 he served on the Admiralty’s Arctic committee, which met to investigate the conduct of Horatio Austin* and William Penny* on their respective expeditions. 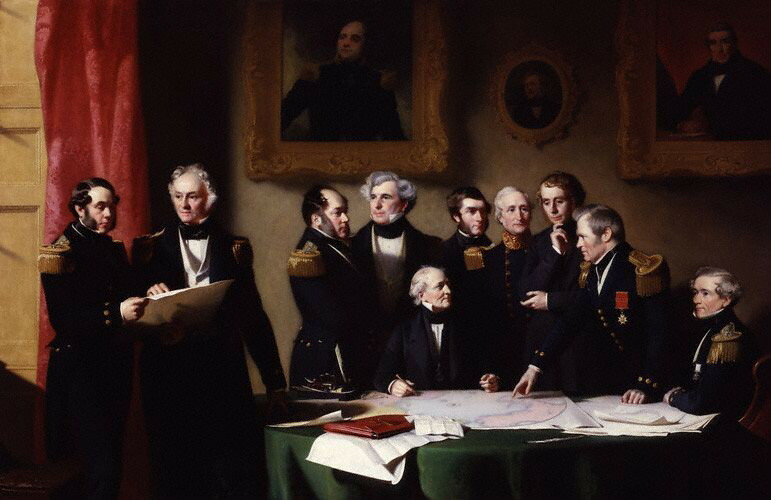 In 1856 the Admiralty made its final decision to abandon the Franklin search, and Back, almost alone among the Arctic veterans, agreed with them. He was forcibly condemned by Sophia Cracroft, who had for some time disliked him. 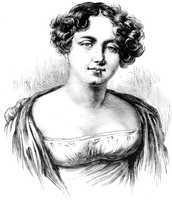 “That miserable Sir G. Back,” she wrote, “will say anything that a Lord of the Admiralty tells him, and is held in contempt or something worse by all who have served with him” [see Jane Griffin]. With the end of the Franklin search, Back withdrew again into quiet retirement, receiving promotion to rear-admiral on the reserve list on 19 March 1857. 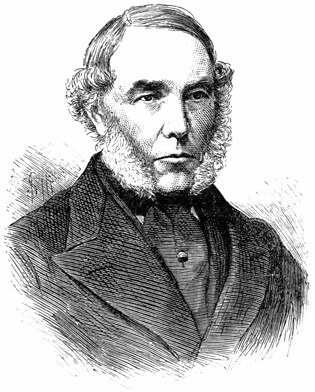 He had been made an honorary doctor of civil law at Oxford University in 1854. Until the end of his life he participated actively in the Royal Geographical Society, of which he was vice-president for seven years and a member in council for many more. He was promoted vice-admiral on 24 Sept. 1863 and admiral on 18 Oct. 1876. One of his last acts in public life, on 6 Dec. 1876, was to preside over a meeting of Arctic veterans who had gathered to greet the returning expedition commanded by George Strong Nares in Alert and Discovery. Thus this man who had been a leading figure from the first of Britain’s great 19th century expeditions to the Canadian Arctic survived just long enough to witness the return of the last. SPRI, ms 248/249/2 (letter from Sophia Cracroft, 8 April 1857); ms 248/250/4 (letter from Sophia Cracroft, 4 July 1856); ms 248/364/22 (letter from F. R. M. Crozier to James Clark Ross, 31 Dec. 1844); ms 395 (George Back papers including most of his journals and diaries, correspondence with the Admiralty, Sir John Franklin, and other Arctic officers, and official certificates, all on loan from J. Pares). McCord Museum, McGill University, Montreal, George Back papers (two journals and some correspondence, not used in the preparation of this biography). Royal Geographical Society (London), Back papers (a large collection not used in the preparation of this biography). George Back, Narrative of the Arctic land expedition to the mouth of the Great Fish River, and along the shores of the Arctic Ocean, in the years 1833, 1834, and 1835 (London, 1836); Narrative of an expedition in HMS Terror, undertaken with a view to geographical discovery on the Arctic shores, in the years 1836–7 (London, 1838). Les bourgeois de la Compagnie du Nord-Ouest; récits de voyages, lettres et rapports inédits relatifs au Nord-Ouest canadien, L.-F.-R. Masson, édit. (2v., Québec, 1889–90; New York, 1960), I, 130–50. John Franklin, Narrative of a journey to the shores of the polar sea, in the years 1819, 20, 21 and 22 . . . (London, 1823); Narrative of a second expedition to the shores of the polar sea, in the years 1825, 1826 and 1827 . . . (London, 1828). HBRS, I (Rich), 205–61, 313–14. Richard King, Narrative of a journey to the shores of the Arctic Ocean, in 1833, 1834, and 1835, under the command of Capt. Back (2v., London, 1836). The author also had access to manuscripts in the possession of Mrs Cell (Hopton Hall, Wirksworth, Derbyshire, Eng. ), letters from John Franklin to John Richardson, 1823–24. Clive A. Holland, “BACK, Sir GEORGE,” in Dictionary of Canadian Biography, vol. 10, University of Toronto/Université Laval, 2003–, accessed April 22, 2019, http://www.biographi.ca/en/bio/back_george_10E.html.